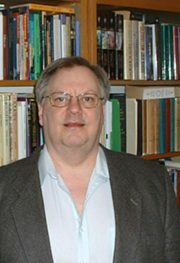 Douglas A. Anderson’s first book was The Annotated Hobbit (1988; revised and enlarged 2002), and he co-founded Tolkien Studies: An Annual Scholarly Review, co-editing it for eight volumes from 2004 through 2011. He has edited many books, often resurrecting notable but neglected works of fantasy by authors such as E.A. Wyke-Smith, Kenneth Morris, Leonard Cline, and Evangeline Walton. With Verlyn Flieger, he co-edited Tolkien On Fairy-Stories (2008), a critical edition of Tolkien’s famous essay, which includes much previously unpublished draft material by Tolkien. He has contributed a regular column reviewing older fantasy and supernatural literature to the journal Wormwood, published by Tartarus Press, since its founding in 2003, and has written similarly for All Hallows: The Journal of The Ghost Story Society, Fastitocalon, and The Magazine of Fantasy and Science Fiction. His anthologies includeTales Before Tolkien (2003), H. P. Lovecraft’s Favorite Weird Tales (2005), and Tales Before Narnia (2008). He speaks regularly at the annual Medievalist’s Congress in Kalamazoo, Michigan, and also runs a small publishing imprint Nodens Books, which revives the works of neglected writers.